I started playing this last night streaming from the PS4 to the PS Vita - managed to snag it with Payback and Rivals a few months ago for £13 for the three of them. The annoying videos for the storyline of this game make it rubbish compared to Rivals imo. I've been playing this since its release without PS Plus. The game needs to contact the EA servers, not the PS Plus servers. You will need the PS Plus subscription to play multiplayer online, but the story will work just fine without the subscription. How does this compare to NFS rivals? Cheaper on eBay from sellers including delivery. Around £5. They did a post release progression patch for it. Not sure how much it improved things. Yup, I wouldn't play this even if it was free. You have to gamble to compete after a while. Is this the one where the game is designed to force you to have to buy loot boxes? Good game up until the point it’s impossible to finish. Rage quit and never returned after putting about 30 hours into it and getting stuck on one ridiculous race. Good price. I only wish this would be half as good as the early 00's games. It used to be my one of my favourite series of all times, but anything after Carbon was just meh to me. If only I could get my hands on a modern NFS Porsche or Underground, I would pay through the roof for that. Agree its a good deal but you can't really use the RRP of a game as an accurate comparison. Why can’t EA learn from Capcom and remaster or even remake underground 1&amp;2 damnit! If only the bundle was Carbon and The Run! Need for Speed Rivals is good, not played the others. Ended up picking the Rivals &amp; Need for Speed (2015) bundle a while ago for a similar price I think , this was after I'd already rented , completed and got the platinum for the Need for Speed game, apart from the cheesy story and dodgy acting/cutscenes I thoroughly enjoyed the game and how the cars drove, was a great return to the series IMO , especially compared to the all the iterations after the most wanted days , have yet to get around to giving Rivals a go though. I did rent Payback and after about 4 hours of playtime I sent it back, really was a step back for me and I thought the handling of the card was absolutely abysmal and just wasn't enjoyable to play . I think Need for speed has over the last decade become a really inconsistent series with some iterations being decent and some just plain awful. Currently playing payback to. Been told there are some abandon cars, where are they on the map? I've just started so it's the first. Never miss a 'Need for Speed' deal again! Got beach buggy - awsome game it's on the sale too! Obviously you never played Virtua Tennis 2. Yes, Origins and Odyssey are both massive improvements. The best since AC2 and a real overhaul of the game engine. Buy it now and experience the thrill of EA deactivating the servers within the next 18 months..
Really fun game, recommend to those who enjoyed the older ones, this one is almost back to that! Currently reduced in price and makes a good stocking filler. Quite a few left in stock around the U.K. Welcome to HUKD! Its an OK price but the last sale saw Payback drop to £10 and the other two aren't really worth much, so its not a great saving (ignoring the fact that they are all a bit naff as thats only an opinion) (y) (heat added as like you, I think this site should be about deals not opinions (highfive) ). It's in EA Access though. Is this in game pass ? Very good price on these. I think rivals is the best one and even payback has its moments. £15.99 well spent if racing your thing. Yeah trash dupe posts like this just give the site a bad name.. they should just be removed and then users should notice the original post with all the discounts listed. I think the digital price is better atm still on Xbox store with this black Friday sale. Buy EA access... It's free on there. Best price I have found for a physical copy. Need for Speed gone. Eh, I wanted to have this finally in my collection. Maybe next time. Often referred to simply as NFS, Need for Speed centres on street-car racing. 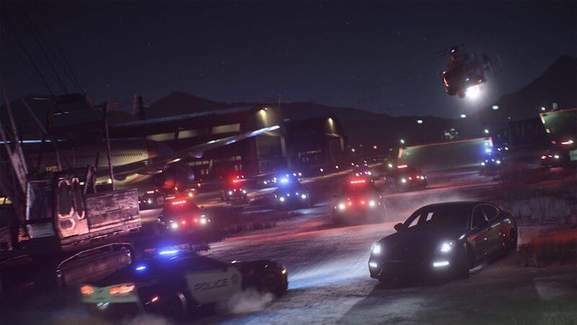 However, over the years many of the games have diversified to include police car chases, motorsports in the style of Forza and treasure hunts. NFS may not be a serious driving simulator, but it has been praised by critics and players alike for its gorgeous visuals, ingenuity and pace. As the series grew in popularity, it gained a spin-off film and a range of Hot Wheels toys. NFS was first developed by a small Canadian games studio called Distinctive Software which was bought out by Electronic Arts in 1991. From this time, EA continued to work on the title, getting the first instalment, Need for Speed, ready for release in 1994. Since then, collaborating with a range of other developers, EA have produced a new game in the franchise almost every year and combined sales have reached a staggering 150 million units. There is a Need for Speed title for almost every home console from the fifth generation onwards. Fans of retro-gaming can play older games like the original Need for Speed, on the Sega Saturn or the PS1. By 2002 Need for Speed: Hot Pursuit 2, was released for sixth-generation consoles like the GameCube, the PS2 and the Xbox. 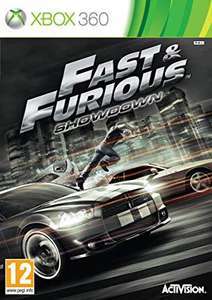 In 2004, the eighth title in the series, NFS: Underground 2, became available. Underground 2 was a notable entry because it was the first from NFS supported by portable consoles like the Gameboy Advance, the Nintendo DS and mobile phones. The original NFS: Most Wanted, released in 2005, was the first in the series that worked with the Xbox 360. This was closely followed by NFS: Carbon in 2006, which supported even more seventh-gen consoles like the Wii and the PS3. Each of these games can also be played on a PC. NFS: Most Wanted (2012) – Seven years after the original Most Wanted was released, this remake offered fans a very similar game. It is supported by the PS3, Wii U, Xbox 360, the PS Vita and Windows on a PC. It is also available as an app for iOS or Android gadgets. With very little plot to get in the way, this big open-world adventure focusses on perfecting the vehicles and the graphics. Tarmac glistens after rainfall, cars look dazzling in the sunlight and the intricately rendered city, has plenty of hiding spots when the police are tracking you down. Your goal is to beat 10 other drivers who remain anonymous throughout. This lack of personalisation disappointed some players, who preferred the cheesy plot and over the top characters of the original. However, the handling was smooth and responsive, even during tricky drift sequences. The Wii U version, Most Wanted U, has integration with the Miiverse and secret vehicles from the Mario Kart world which can be found using hidden entrances. NFS: Rivals (2013) – Rivals was compatible with a range of next-gen consoles, you can buy it for the Xbox 360, the Xbox One, the PS3, the PS4 and a Windows PC. Driving as either a street racer or a cop, you slide through the fictional Redview County, avoiding obstacles and attempting to outrun one another. It was praised by critics and fans for the breath-taking cop/driver challenges and spectacular scenery. If you prefer to take on live players in real time races instead of an AI, then this could be the best version for you. NFS No Limits (2015) – An app for iOS and Android users which keeps story-telling to a minimum, No Limits has numerous underground races to try out and a career arc to follow. Other characters mill around on the periphery, but you rarely see or hear them, so it’s all about the thirty upgradable cars and your quest to become number one. This is a great choice for gaming on the go, especially if you appreciate speed racing and advanced customisation. Need for Speed (2015) – A reboot for the PS4, Xbox One and PC, this slick version of the original is commended for its high level of customisation and beautifully rendered cityscapes. Players did not like the lack of a pause option, no online mode, an overwhelming amount of interruptions in the form of calls, and extended cutscenes. If you don’t mind following a narrative and can deal with a high level of interaction from the AI, then Need for Speed is a stunning choice. NFS: Payback (2017) – Made for the PS4, Xbox One, and Windows for the PC, Payback was not a complete success. The story follows a group of apparently diverse drivers; Jess the girl-racer, Mac the drifter and Tyler their leader, trying to tackle the problem of fixed races in their glamorous hometown. Unfortunately, the AI is a tough competitor and any victories you do have are spent on enhancing the one vehicle you tend to be stuck with, rather than cultivating a fleet of shimmering mean machines. Although it had a lukewarm reception from film critics, the movie, released in 2014, is everything that most gamers would expect from a big screen extension of the franchise. The plot, which involves a street car driver fresh from jail and a cross-country race, is pretty thin, but the eye-popping manoeuvres are plentiful and the cars look awesome. If you’re prepared for a few hours of popcorn cinema, you could enjoy it. 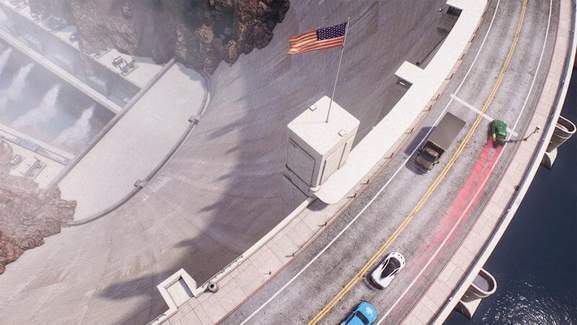 EA has released a vast amount of DLC and bonus packs to boost the gameplay in the Need for Speed series. Here are some of the most popular. At the PlayStation Store you can choose from a selection of vehicle downloads. These enable you to grow your collection of cars or purchase one type of car to use in specific games. Volkswagen Touareg Nf 2011 – For use with The Crew, the Volkswagen Touareg Nf 2011 is a fan favourite that can be customised once purchased using the colours and rims in the pack. NFS: Rivals Concept Lamborghini Cops – When you get bored with the vehicle selection on offer in NFS: Rivals, you can buy a supercar pack like this to add extra excitement. With the Gallardo LP 570-4 Super Trofeo, even racers you chase down and t-bone into submission will be impressed with your ride. These DLC bundles build on the NFS universe with more tracks, added storylines and exclusive customisations. Need for Speed Hot Pursuit Bundle – A download for the PS3 which includes a digital version of the full game and all the DLC associated with it. This includes the Super Sports Pack, the Armed and Dangerous Pack, the Rebel Racer Pack and the Porsche Unleashed Pack. 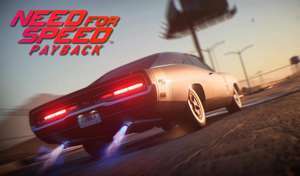 Need for Speed: Most Wanted Heroes Pack – Get five of the most celebrated Need for Speed vehicles with this 2013 release for the Xbox 360, PS3 and PC. Included inside are the Nissan Skyline GT-R V Spec, the Lamborghini Diablo SV, Nissan 350Z, BMW M3GTR and the Porsche 911 GT2. You can drive them in new races, test them out on speed runs and try new customisation options. Need for Speed: Payback Speedcross Expansion Pack – For the Xbox One, the PS4 and the PC, this is a whole new story continuing the Payback narrative. The Payback Speedcross Expansion Pack enables you to win the Speedcross King of Fortune Valley title from the current champion. You’ll drive on and off-road, mixing intensely high speeds with drifts and stunt jumps. As part of the quest, you’ll gain two new cars, the Mini John Cooper Works Countryman and the Infiniti Q60S. 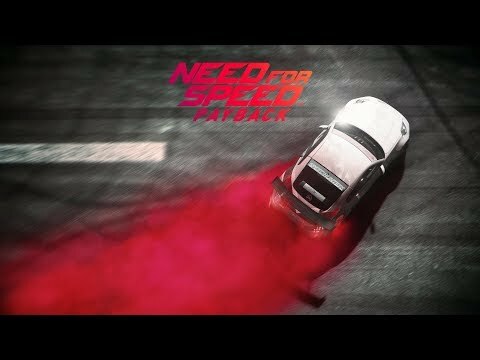 What’s Exceptional About Need for Speed Gameplay? 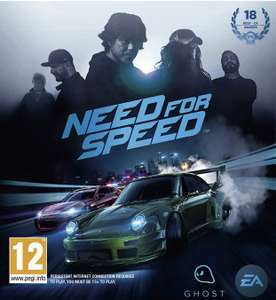 Need for Speed games are known for delivering a white-knuckle ride through colourful locations, in a world inspired by films like The Fast and the Furious and 1980’s cop shows. Cars perform incredible stunts whilst sustaining only cosmetic damage, reaching speeds that provide a massive adrenaline rush to players. NFS offers some of the best arcade racing in the genre, giving players a fantasy version of the sport, decked out with hyper-cars and stunts that would never happen on simulators, because they mirror the physics of real vehicles. The handling is undemanding, but you’ll rarely find any rubber band racing in NFS, as the developers removed it in response to pressure from players. If you take a wrong turn, crash, or fumble a corner, the cops or your AI rival will keep moving in real time, so mistakes can be costly. The emphasis is on juicy thrills and high-performance custom cars, rather than realistic driving situations. Players win races to earn a fleet of exotic vehicles, then they can deck them out with creative paint jobs, and under the bonnet, additions to add muscle. 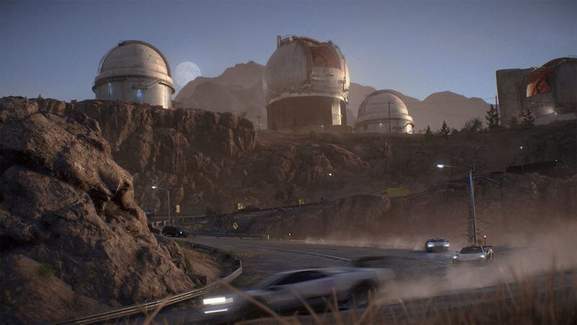 These elements give you the edge in certain races, but in NFS: Payback, the concept is taken even further with a "live tuning" feature which puts players in charge of how their car reacts. Storytelling and cut scenes form a part of the action, especially in NFS titles like Underground (2004), Undercover (2008), and Need for Speed (2015), but this is really window-dressing for the main event. 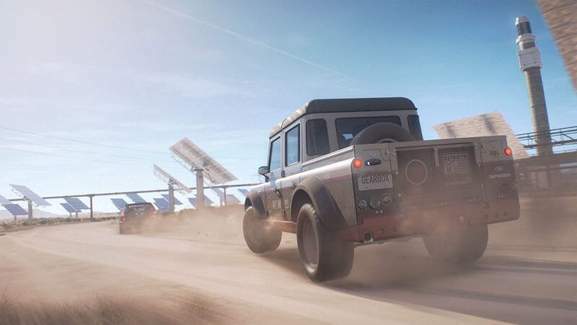 The developers know that players are mainly here for the cars, so they even keep cities, suburbs, and rural areas empty of traffic and people, to lessen any distractions. What is Awesome About Need for Speed? What Could be Improved? You can browse the PlayStation Store and the Microsoft Storefor digital copies of individual games and DLC - they also sell selected physical copies. Argos, Currys and Tesco Direct also have extensive online gaming sections, as does Game. Second-hand copies of new and classic games are often available from eBay and CeX. Stores usually reduce the price of older games, but to find bargains on more recent releases you can shop during sale periods. These tend to be at the start of summer, spring and winter, or prior to special events like bank holidays and Christmas. Black Friday is another great time to save money on Need for Speed games and merchandise, as retailers across the UK slash the cost of gaming products by 50% or more. The hotukdeals community collects new offers on Need for Speed from across the internet every day, then they're brought together on a page dedicated to the franchise to help you always find the best price and advice.